Our goal is to connect people with the best local experts. We scored carpet cleaners on more than 25 variables across five categories, and analysed the results to give you a hand-picked list of the best carpet cleaners in Las Vegas, NV. 24/7 Carpet & Floor Care is an owner-operated business with more than 25 years’ experience in the floor-care industry. The company’s service area includes the Las Vegas area to Boulder City and Henderson, Nevada. Residential and commercial cleaning services include stone, tile, carpeting, and rugs. The firm also provides carpet repairs, which include re-stretching and seam repair, and water extraction and restoration from flooding. The company owner is skilled in mitigating pet damage, including stains and odors. Customers are guaranteed a no-pressure sales approach behind the firm’s free job estimates. The company is fully licensed, insured, and bonded. 24/7 Carpet & Floor Care donates 10 percent of its proceeds to support charitable organizations. A One Carpet Cleaning Las Vegas is a full-service carpet and upholstery cleaning business based in Las Vegas and serving the surrounding area. The company offers a variety of services to its residential, commercial and multi-family clients such as hardwood floor cleaning, pet odor removal, and tile and grout cleaning. A One Carpet Cleaning Las Vegas has received numerous five-star Thumbtack reviews in which previous customers testify to the company's efficiency, reasonable pricing, and courteousness. For Las Vegas residents facing an emergency, the business offers 24-hour services. With 100% certified eco-friendly techniques, A One Carpet Cleaning Las Vegas promises to remove dirt that has built up over the years. Frequently, there are specials and promotions featured on the company's website. A1 Envirogreen, LLC is a carpet cleaning service company that provides professional cleaning for the Southern Nevada area. They specialize in carpet, rug, and upholstery cleaning, but also offer services for tile and grout, curtains, mattresses, and vehicles. Their team uses modern cleaning technology to give their clients a successful, efficient, and safe cleaning solution. Also, their procedure is designed to keep their customers’ possessions in good shape for an extended period of time. A1 Envirogreen, LLC offers a satisfaction guarantee for their clients as well as reasonable pricing. With more than thirteen years of satisfied customers, their safe and thorough technique produces excellent results. Offering a free quote on its services as well as a half-off discounts for new clients, AAA Carpet Cleaning is a professional carpet cleaning company in Las Vegas, Nevada that has been serving customers in the local metropolitan area since its founding in 1997. A senior-friendly business, AAA Carpet Cleaning provides its clients with such services as carpet cleaning, dyeing, and repair work. Additionally, the company is an expert in dealing with pet and human stains, such as blood, waste material, wine, tea, coffee, and more. Stain removals performed by AAA Carpet Cleaning are designed to eliminate odors as well. Annie the Maid, Inc has been serving homes and business in Southern Nevada since 1979. Their reputation has been earned through hard work and ensuring that each job is performed correctly by their well-trained and friendly cleaning professionals. Licensed and insured, they are a member of the Las Vegas Executives Association and Better Business Bureau, and they hold security clearances for various federal institutions. Annie the Maid, Inc provides a wide range of interior and exterior cleaning solutions that cover the entire property of any home or business. They also offer extensive construction cleanup services using OSHA-certified technicians who adhere to strict security and safety practices. Arcane Carpet Cleaners has been serving residents and business owners in the Las Vegas, Henderson, and Boulder City, Nevada areas for over ten years. This company is run by competent, ethical, and friendly people, who have built a long-standing reputation for quality and customer satisfaction. The services they offer include professional cleaning of carpets, upholstery, tiles, grout lines, hardwood floors, and area rugs. They also provide coating, grout sealing, pet stain removal, antimicrobial treatments, floodwater extraction, and move-in/move-out cleaning services. By consistently adhering to high standards of workmanship and professionalism, Arcane Carpet Cleaners has received numerous five-star reviews across various review websites including Yelp, Facebook, BirdEye, MapQuest, and Google Local. They have an A rating with the Better Business Bureau. Avanti Green is a cleaning service which has been serving Las Vegas since 2011. This licensed and bonded business takes an eco-friendly approach to their services, certified by Green America as a green business. Owner Claudia Meneses makes herself available for her customers as she and her employees provide clients with maid services, window cleaning, carpet cleaning, vacancy cleaning, post construction cleaning, recurring cleaning, and preparation for a new baby. They'll clean every room in the house, and their customers appreciate the ease with which they can schedule appointments, as well as their promptness and the pride that they take in their work. Aztek Maintenance and its team of expert cleaning technicians strive to deliver high-quality carpet cleaning services to residents and business owners in Las Vegas, Nevada and the surrounding communities. They use effective techniques and safe cleaning products in every project they handle, leaving their clients’ carpets looking new and smelling fresh. Their quality service coupled with competitive price rates has helped this company build a strong-standing reputation within their community and beyond. Aztek Maintenance also offers flood control, pressure washing, window cleaning, and complete building clean-up. This company uses only high-end cleaning equipment from the industry’s leading brands including Prochem, Hydro-Force, and Protovac to maintain the high level of quality they deliver with every carpet cleaning project. Aztek Maintenance has been on Angie’s List for ten months. Best Clean Carpet and Upholstery Cleaning is a carpet and upholstery cleaning company in Las Vegas, Nevada that was established by Jon and Evette Peters in 1991. They specialize in fine rug cleaning, residential flooring/furnishing cleaning, and commercial flooring/furnishing cleaning. Best Clean Carpet and Upholstery Cleaning conducts fine rug cleaning of wool/Orientals, other natural fibers, and synthetic fiber. Their residential flooring/furnishing cleaning services include carpet care, tile and grout cleaning/ sealing, natural stone care, wood/laminate cleaning and buffing, concrete floor care, and upholstery cleaning. They also offer emergency water extraction and drying. Best Clean Carpet and Upholstery Cleaning received training from the Institute of Inspection Cleaning and Restoration Certification. Best Janitorial Services of Nevada is a commercial and residential cleaning company that has been serving the Las Vegas area for more than 20 years. They are a family-owned business and have been featured on Angie’s List and Yelp. Best Janitorial Services of Nevada offers carpet cleaning, tile and grout cleaning, and mold remediation for government facilities, financial institutions, and retail stores. They encourage new customers to contact them online or via phone to receive a free initial estimate. Best Janitorial Services of Nevada is committed to customer satisfact and has received positive customer feedback for their friendliness and commitment to customer service. Blue Bird Carpet & Janitorial has been offering a variety of residential and commercial cleaning services to Las Vegas, Nevada and surrounding areas for nearly four decades. Family owned and operated, Blue Bird Carpet & Janitorial clean commercial buildings such as doctors' offices, commercial offices, store fronts, restaurants, and more. They pride themselves in thorough and efficient home cleanings that include deep-sanitation of the bathrooms as well as trash and recycling removal. Other services offered include move-in and move-out cleaning assistance for the beginning or end of lease periods in which the house is scrubbed, washed, vacuumed, dusted, and sanitized. Bob’s Cleaning Service is a residential and commercial cleaning company in Nevada, active for over 25 years. People within the service areas of Las Vegas and surrounding areas get to experience the expertise of this preferred of this Carpet and Rug Institute preferred provider. The team of technicians is certified by the Institute of Inspection, Cleaning, and Restoration and treat carpet, marble, wood flooring, tile, grout, upholstery, and more. The company prides itself upon the swift response time to requests and its 24-hour emergency service allotment. This cleaning company values courteousness and integrity, respecting a customer’s space as if it was its own. The company guarantees positive results from the non-toxic, odor-free, environmentally-friendly cleaning products with no debris left behind. Busy B Groundskeeper and Floor Care Inc. aims to provide quality cleaning services for both homes and businesses. They specialize in residential, commercial and industrial janitorial and floor cleaning services and strive to provide superior quality service at all times. Busy B Groundskeeper and Floor Care Inc. offers an array of services, including commercial janitorial services/porter services, carpet cleaning and restoration, tile and grout cleaning, dyeing and sealing, and concrete cleaning, staining, and waxing, among many others. Additional services include natural stone care, air duct decontamination, pressure washing, Persian/oriental rug cleaning, pre/post event cleaning, and tenant move in and move out services. Busy B Groundskeeper and Floor Care Inc. takes pride in hiring only qualified personnel who are properly trained to deliver quality workmanship. C & C Enterprises, LLC is a Las Vegas family-owned and operated business that has been serving residential and commercial customers for more than 10 years. Owners Juan Sr. and Juan Jr. have more than 20 years of combined experience. The business provides industrial and commercial cleaning. C & C Enterprises, LLC provides services including carpet cleaning, dry chemical extraction, carpet installation, carpet repair, tile and grout cleaning, floor stripping, floor waxing, VCT floor cleaning, window washing, driveway washing, and janitorial cleaning. C & C Enterprises, LLC is licensed, bonded, and insured and offers free evaluations. The business provides 24/7 service. Carpet Cleaning Las Vegas is a locally owned and operated company that offers expert commercial and residential carpet and tile cleaning. For over a decade, professionally trained technicians have followed the company’s mission and philosophy which emphasizes doing the right thing, both for the customer and for the project. Using steam cleaning as their primary method, Carpet Cleaning Las Vegas makes sure their system digs deep into the carpet’s fibers to remove embedded dirt, while a formulated protectant can be used to assist in keeping future stains away between cleanings. A discount is available for those who sign up for their routine maintenance program. They offer a 100% satisfaction guarantee and will return to a customer’s property free of charge to undertake the project again. Champion Carpet Cleaning offers its services to both residential and commercial clients in and around Las Vegas. The company offers carpet cleaning, upholstery cleaning, tile and grout cleaning, and mattress cleaning. Whether it be a home, an office building, a warehouse, or some other type of business, Champion Carpet Cleaning uses its powerful machines and top-of-the-line equipment to remove soil, dust, allergens, and even set-in stains from carpets and other fabrics. Champion Carpet Cleaning uses highly effective, non-toxic, biodegradable cleaning solutions to ensure the health and safety of its clients. The business is fully licensed and insured and offers emergency cleaning services 24 hours per day. Champion Carpet Cleaning offers free estimates for its services and promises a 100 percent satisfaction guarantee to those who choose to take advantage of them. Dom Does It is a licensed carpet and tile cleaning contractor in Henderson that serves several neighborhoods in the Las Vegas metro. The establishment is a family-run business that shares the community’s vision of tidy, comfortable, and pleasant interiors, and it works toward “quality and customer satisfaction.” The owner is a certified professional with more than a decade of experience in the construction and building maintenance fields, and he leads his team in delivering great results at affordable prices. The competent and trustworthy crew commits to respecting the property occupants, their pets, and the premises, and it only uses premium, non-toxic supplies. Dom Does It Carpet & Tire Cleaning adheres to government codes and industry standards, and it can perform high-power pressure washing for patios, garages, driveways, and other exterior areas. Ecodry Carpet Cleaning specializes in commercial and residential cleaning using eco-friendly and dry extraction methods, including GreenSeal Certified Products and USDA Certified Biobased Products. This business has been serving Las Vegas and surrounding areas since 1983. They offer carpet cleaning, upholstery cleaning, area rug cleaning, tile and grout cleaning, and emergency service within one hour of an urgent call. Customers can request a convenient online quote. Ecodry Carpet Cleaning has earned overall customer ratings of five stars on Houzz and four out of five stars on Yelp. Customers say they are thorough and offer prompt, efficient, high-quality cleaning services. Express Carpet Cleaning Las Vegas is a carpet cleaning company that serves the Los Angeles metro area. They are family-owned and operated and maintain a strong commitment to providing affordable service to new and existing customers. Express Carpet Cleaning Las Vegas hires trained technicians and is fully licensed, bonded, and insured. They offer a wide range of services including carpet cleaning, tile and grout cleaning, hardwood floor waxing and renewal, and stone floor cleaning. Express Carpet Cleaning Las Vegas can also accommodate requests for upholstery cleaning, pet odor removal, and water damage remediation. They have received positive customer feedback for their swift response time to emergency calls and for their customer service. Fortune Cleaning in Las Vegas is a family owned and operated company providing both residential and commercial cleaning services. They offer carpet, floor, tile, and upholstery cleaning as well as professional house cleaning. Clients can receive an estimate or review a gallery of Fortune Cleaning's work on their website. They are open Monday through Friday as well as evenings and weekends by appointment. Fortune Cleaning has earned five-star overall customer ratings on both Yelp and Google. Clients say this business is highly recommended and provides fast and clean service. They are known for doing an excellent job at an affordable price. G&I Carpet Cleaning is a carpet cleaning company serving the community of Las Vegas. The family owned business services private homes, commercial properties, offices, apartments, and industrial sites and utilizes top-quality and safe chemicals for optimal cleaning every time. Additional services cover pet stain and pet odor removal, stain removal, upholstery cleaning, general room cleaning, tile and grout cleaning, and bathroom cleaning for sparkling as well as healthy work and living environments. Full water damage restoration services are also available. G&I Carpet Cleaning prides itself on long-term client relationships and professional results delivered on a regular basis and strives to help customers save time, energy, and money. Interested parties can submit an online form for additional details and pricing. GetCleanLV is a business that provides customers with upfront pricing. The business’ services include carpet cleaning, pet stain removal, deodorizing, and sanitization, upholstery cleaning, leather cleaning, leather revival, Oriental rug cleaning, tile and grout cleaning, tile sealing, tile polishing, Scotchgard, dryer vent cleaning, air duct cleaning, and air purification. GetCleanLV includes free closet cleaning, hallway cleaning, stain removal, and deodorizer with every service. The business’ products are eco-friendly. GetCleanLV uses an AeroTech Powerful Deep Extractor with high heat. GetCleanLV is licensed and insured and guarantees their work. Customers remark on their efficiency, prices, thoroughness, friendliness, professionalism, reliability, punctuality, and quick service. HoneySchedule is one of the Las Vegas region’s most trusted cleaning services. The company specializes in house cleaning, carpet cleaning, moving services, and much more with the mission of providing the most trusted and reliable experience to its customers. They are committed to offering the very best cleaning services and are confident in promising a 200% Satisfaction Guarantee with each and every cleaning. If customers are unsatisfied within 24 hours the team can either provide a fix, free of charge, or give a discount on other cleaning services. HoneySchedule’s other specialty services include move out cleaning, packing services, organizing services, deep cleaning, pet walking, pet sitting, and commercial cleaning. Located in Las Vegas, Nevada, Keep it Clean is a professional carpet cleaning company that serves clients in the wider local metropolitan area. Keep it Clean provides clients with numerous discounts and coupons on its official website and can be contacted by phone for booking purposes and backs its services with a one hundred percent customer satisfaction guarantee. Such services include carpet and upholstery cleaning, tile and grout cleaning, carpet repair, carpet stretching, pet urine and odor treatments, and area rug cleaning. Additionally, Keep it Clean provides prospective clients with a free quote on its potential services. Las Vegas Carpet Cleaning is an expert cleaning service with over 12 years of experience in the Las Vegas area. Pricing is competitive, and additional coupons and special deals are accessible online. Services available include carpet and rug cleaning, upholstery care, window treatment, water or fire damage restoration, air duct cleaning, auto interior cleaning, and much more. The cleaning service prides itself on its attention to detail, with customer reviews noting how even the most inconspicuous stains were thoroughly cleaned. Because of their dedication to customer service, the company provides free, no-obligation estimates and tailor made package deals for all of their clients, 100% satisfaction guaranteed. Las Vegas Cleaners in Las Vegas, Nevada, cleans homes, offices, windows, upholstery, and carpet. Residential and commercial customers needing carpet and upholstery cleaning appreciate customized cleaning tailored to each item. 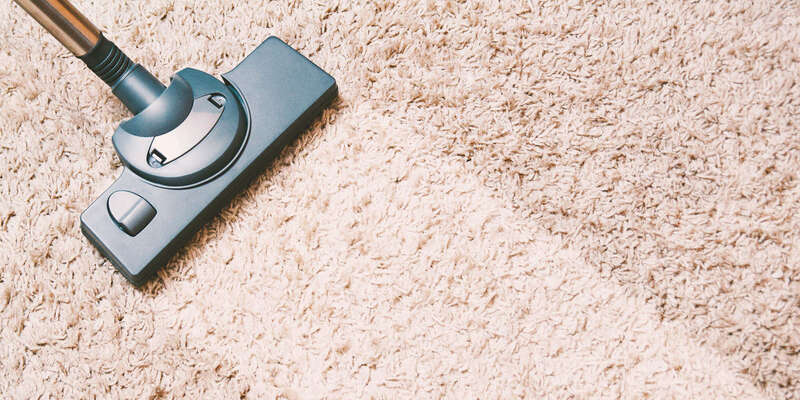 Deep steam cleaning brings most carpet to like-new condition with a drying time of only two to three hours. Carpets requiring dry cleaning receive an enzyme mix treatment, used without water. The carpet is then vacuumed with professional equipment leaving it completely clean. Also offering upholstery cleaning services, the skilled technicians at Law Vegas Cleaners are trained to give attention to detail, ensuring furniture, no matter what size or shape, is cleaned to perfection. Las Vegas Cleaning Service specializes in carpet cleaning, tile cleaning, grout cleaning, and the stripping and waxing of tile floors. The company offers commercial and janitorial cleaning services, move-in and move-out cleaning services, crime scene cleanup, post-construction cleanup, and more. Las Vegas Cleaning Service cleans office buildings, schools, daycare facilities, gyms, health care facilities, shopping centers, industrial complexes and other buildings. Las Vegas Cleaning Service offers one-time cleanings as well as routine cleaning services. Las Vegas Cleaning Service offers free estimates, flexible scheduling, and works hard to find custom cleaning solutions that will fall within the client’s particular budget range. The company is fully insured and uses environmentally friendly cleaning materials to protect the health of its clients and the world around them. Las Vegas Dry-Cleaning Carpets has been one of the premier providers of top-quality carpet cleaning solutions for residential and commercial applications in Las Vegas, Nevada and the surrounding areas for over twenty years. As a family owned and operated business, they attend to their clients’ needs and address their concerns in a professional and timely manner. This company takes pride in their five-point cleaning process, which involves vacuuming the carpet, spraying a liquid dry-cleaning solution to dissolve soil build-up, spot-cleaning heavily traveled traffic areas, spin-cleaning to absorb soil residue and moisture, and raking the carpet for visual inspection. With these procedures, Las Vegas Dry-Cleaning Carpets guarantee that their clients’ carpet will be free from steam, soapy residue, molds or a moldy smell. Las Vegas NV Carpet Cleaning is licensed and insured, using highly efficient and environmentally safe products to lengthen the life of their customers' carpets. The services they provide for their clients include carpet cleaning, upholstery cleaning, rug cleaning, and air duct cleaning with technicians trained in the latest cleaning equipment so that their services are always top of the line and up to date. They also neutralize cleaning products used after each rug cleaning to return them to their original pH balance. For customers who are unsure, Las Vegas NV Carpet Cleaning may be contacted beforehand to provide them with a free estimate. Master Carpet Cleaning Las Vegas is an eco-friendly and Institute of Inspection Cleaning and Restoration-certified business that proudly serves home and business owners throughout the area. Dirt and grime can become embedded within carpet and other porous materials and is not easily removed with every-day cleaning methods. The professionals at Master Carpet Cleaning Las Vegas have the tools and experience needed to properly treat the problem and protect carpet and furniture from future dirt, bacterial, and allergen infestations. Customers throughout the area trust the experts to complete every job correctly the first time, and to provide highly affordable services without sacrificing on quality. Services offered by Master Carpet Cleaning Las Vegas include carpet cleaning, rug cleaning, upholstery cleaning, and steam cleaning treatments. MV Cleaning Services is a professional carpet cleaning company located in Las Vegas, Nevada that serves clients in the surrounding metropolitan area. A specialist in tenant move-in and move-out services, MV Cleaning Services also offers tile and grout cleaning, carpet cleaning, window cleaning, pressure washing, post-construction clean-up, and more. MV Cleaning Services is certified by the Institute of Inspection, Cleaning, and Restoration Certification and is a member of Business Network International. To ensure a thorough cleaning process, MV Cleaning Services uses a ten-step cleaning program and employees trained and experienced technicians. Available by phone, the company offers a free estimate on its services. Noble Carpet Cleaners provides discerning Las Vegas-area customers with top-notch service that consistently exceeds expectations. The full-service residential carpet cleaning firm specializes in delivering cutting edge services that refresh flooring and enhance the look and feel of any home. The family-owned and operated business employs highly trained technicians with the highest level of expertise in all areas of pressure washing, carpet, upholstery, tile, and grout cleaning. Customers with the highest standards can trust the professionals at Nobel Carpet Cleaners to utilize powerful, state-of-the-art equipment and highly effective cleaning solutions that yield optimal results. The dedicated experts have an outstanding reputation for adhering to IICRC guidelines and the highest standards of excellence for carpet, flooring, and upholstery cleaning. Noble Carpet Cleaners commits to providing reliable, premium quality service at affordable prices. Personal Touch Carpet Cleaning has been one of the premier providers of top-quality carpet cleaning services to residential and commercial property owners in Henderson, Boulder City, Nevada and the surrounding areas since 1993. This business comprises fully licensed, insured, and bonded cleaning technicians who utilize modern equipment and safe cleaning techniques to effectively and thoroughly clean their clients’ carpets. They use a hot water steam extraction method for all their projects as recommended by carpet manufacturers. They also clean upholstery and area rugs and offer same-day and next-day carpet cleaning services. Occasionally, Personal Touch Carpet Cleaning’s website offers a selection of special promotions that give discounts for different services. They also provide a discount for their veteran and senior citizen clients. Pink Ladies Cleaning is a Nevada-based cleaning service that has been serving the Las Vegas and Henderson areas for more than three decades. Offering maid services, spring cleaning, moving-related cleaning, and more, Pink Ladies is there to suit a variety of cleaning needs. This company takes their role very seriously, knowing that the presentation of a home means a lot to each customer. A quick phone call can yield an estimate from Pink Ladies, giving clients an idea of cost before they move any further. Pink Ladies is out to make each customer’s home as clean and presentable as possible, boasting a committed group of cleaners that pride themselves on their excellence. Prime Cleaning Systems was founded on the philosophy of giving customers the respect and service they deserve no matter how tough the job. The company provides superior carpet, upholstery, stone, and tile cleaning to customers throughout the greater Las Vegas area and gives team members regular training, so they stay up-to-date on the latest products and technologies. From rugs and sofas to countertops and drapes, the technicians go the extra mile to get rid of even the toughest dirt, odors, and stains so customers can enjoy a fresh, clean environment. Additional services including concrete cleaning and sealing to extend the life of driveways and garage floors, and stone cleaning and polishing to keep fine floors sparkling. Interested customers can call for more information or book an appointment right on the company’s website. Raysco, Inc. is a carpet cleaning company in Las Vegas, Nevada, with more than 16 years of experience in carpet cleaning. They serve both commercial and residential clientele. Raysco, Inc. also offers restoration services. Their services include carpet and upholstery, commercial service cleaning and upholstery, tile and grout, natural stone, air duct cleaning, dryer vent cleaning and pressure wash, and ozone odor removal. Raysco, Inc. offers 24-hour emergency services and a free estimate. They are fully insured and bonded for the protection of their customers. Raysco, Inc. is associated and affiliated with Demandforce, and certified by the Institute of Inspection Cleaning and Restoration Certification. Raysco, Inc. is a Better Business Bureau accredited business. Sunrise Carpet & Upholstery Cleaning is a professional carpet cleaning company serving the community of Las Vegas, Nevada, and the surrounding areas. Established by Lou Sarti over ten years ago, the team of professionals at Sunrise Carpet & Upholstery Cleaning specializes in residential cleaning services. They offer a range of cleaning options including carpet and upholstery cleaning, carpet repair, odor removal, water damage restoration, tile and grout cleaning, and truck mounted equipment for powerful carpet steam cleaning. Sunrise Carpet & Upholstery Cleaning provides appointments six days a week. Customers recommend Sunrise Carpet & Upholstery Cleaning for their affordable pricing, attention to detail, professionalism, and prompt service. Turbo Clean is a Las Vegas business that has been serving commercial and residential customers for more than eight years. Areas the business serves include Henderson, Clark County, North Las Vegas, and Las Vegas. Services the business offers include carpet cleaning, tile and grout cleaning, floor stripping and waxing, upholstery cleaning, garage floor cleaning, garage floor painting, air duct cleaning, indoor air quality, stone cleaning, stone polishing, granite counter sealing, pet odor control, and pet stain removal. Turbo Clean is insured. The business is accredited by the Better Business Bureau and has an A+ rating. Turbo Clean is open seven days a week and hours of operation are Monday to Friday from 7 a.m. to 7 p.m., Saturday from 8 a.m. to 5 p.m., and Sunday from 9 a.m. to 5 p.m.
Based in Las Vegas, Nevada, Unlimited Carpet & Grout Cleaning deals with a variety of cleaning services besides what it has been known for since it started in 1997: carpet, tile, and grout. The company also offers services such as pressure washing, natural stone cleaning, sealing of pavers and concrete, and the cleaning of driveways and other surfaces. The business serves commercial and residential clients, using professional truck-mounted units for deep steam cleaning. Other services include carpet stretching, repair, and thermal fogging, as well as acid washing and efflorescence removal for tile and grout services. Monthly specials can be viewed on their website.